I read Enclave, the first book in the Razorland series, in August last year and now the third book is released at the end of October. 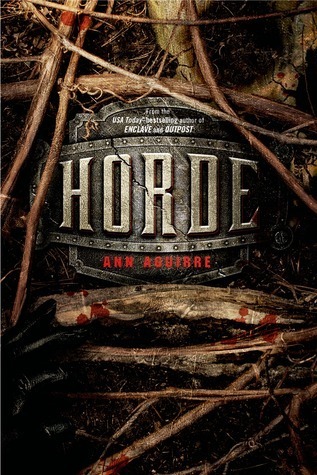 I've waited for Horde by Ann Aguirre for what feels like forever, but it's more like an entire year, and I can't begin tell you how much I want it! The Sirantha Jax series was my first Aguirre experience and I still have a hard time to let that series go. March is one of the best secondary characters I've ever encountered, if not the best, and together he and Jax made this a truly awesome series. The Razorland is a scary god dystopian series that rivals the Sirantha Jax series awesomeness (which is no easy feat in my book) and hasn't gotten nearly the hype it deserves. I have wanted to start this series for awhile. I have so many that I want to read. Great pick. I know, by the time you've finished one book you've added another two to the TBR list. it just keeps growing! The Razorland series is sooo good and I warmly recommend it! 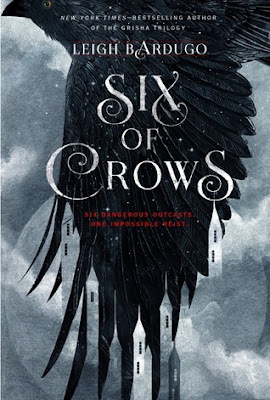 I'm not really waiting on this one because I haven't read any of the previous books but it sounds interesting and I hope you enjoy reading it when it comes out.